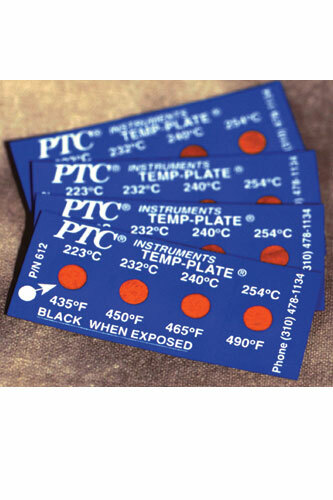 PTC® Temp-Plates model 612 series, are small self adhesive irreversible temperature recording labels. The labels contain four sealed temperature sensitive chemical indicators which turn permanently and irreversibly from silver to black at the rated temperature. Response time is less than 1 second with an accuracy of ±1%. PTC® 612 series come in a pack of 10.